Ever since the Institute of Medicine’s report To Err is Human, patient safety has taken the forefront of quality healthcare delivery. 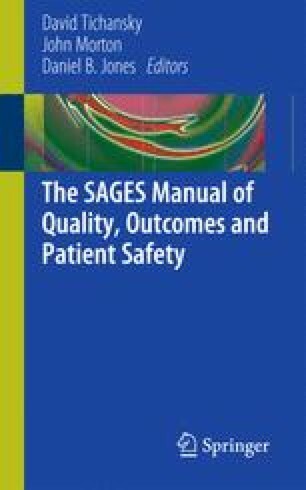 One measure of patient safety is the rate of in-hospital preventable adverse events (PAE), or preventable injuries caused by medical care. PAEs have been linked to higher mortality rates and increased lengths of stay. Adverse events have been associated with most surgical procedures, and range from 2% incidence to almost 20% incidence by surgical procedure. Furthermore, it has been determined that over half of surgical adverse events are preventable.